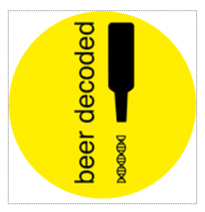 BeerDeCoded is a citizen science project that demystifies genomic technologies with the help of 1’000 beers. The project was founded on January 2015 by Gianpaolo Rando, researcher at the Dpt. of Molecular Biology, and it is run by the association Hackuarium and SwissDeCode, a spinoff of the UNIGE.